 Open Call and Award Opportunities: This list includes general funding opportunities that are of broad interest to the UT Austin research community. For the opportunities listed here, there are no limits to the number of proposals that may be submitted by UT Austin investigators. In contrast, a “limited submission opportunity” is a funding opportunity in which the funding agency limits the number of proposals that UT Austin may submit. To select UT Austin nominees for these opportunities, the University holds internal competitions in advance of the sponsor’s deadline. To view active limited submission opportunities and apply for internal competitions, visit our Limited Submission Programs webpage. Postdoctoral Non-NIH Funding Opportunities :This directory includes a variety of international grants and fellowships in biomedical and behavioral research. Its goal is to provide information about additional funding opportunities available to those in the field of global health research. The directory is maintained by the Fogarty International Center, the international component of the U.S. National Institutes of Health (NIH). Paid summer internships: The DOE Scholars Program offers unique opportunities that introduce students or post-graduates to the agency’s mission and operations. Pivot – Funding Opportunity Database: Pivot allows research developers to quickly discover the right funding opportunities. Pivot is available to all UT faculty, staff researchers, research administrators and students.